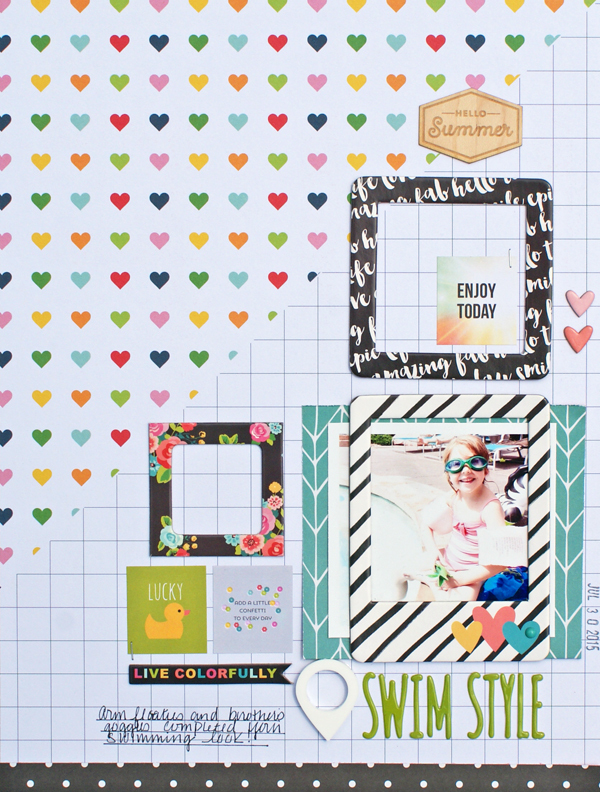 One of my favorite pieces of paper in the June Main Kit from Gossamer Blue, is the hearts and graph paper combo from Pink Fresh Studios. I really like the rainbow colors on the bright white background along with how the graph paper creates a natural spot for photos and embellishments. When I cut this paper down to 9x12, I decided I didn't want to go for my usual paper layering. Instead, I wanted to fill the blank space with the cute frames and square stickers from Simple Stories using a grid design. 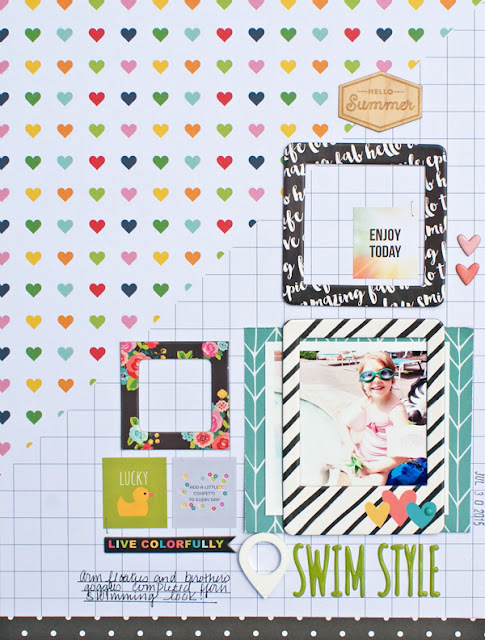 As I was working on the grid using my photos and frames, I did not like the weight of the classic 2x2 grid and how it was "overfilling" my page. My solution was to modify my grid and only include 3 squares. After making this change, I felt much better about my layout and it reminded me that it's okay to let go of ideas that just aren't working for you. Hello! Michelle back with you again and today I am showcasing the super fun background cut file Quirky Quads from The Cut Shoppe! Recently I have been playing around with more mixed media, spray inks to be more exact, and when I went searching through the cut files I was looking specifically for something that would allow for the color from my inks to peak through. 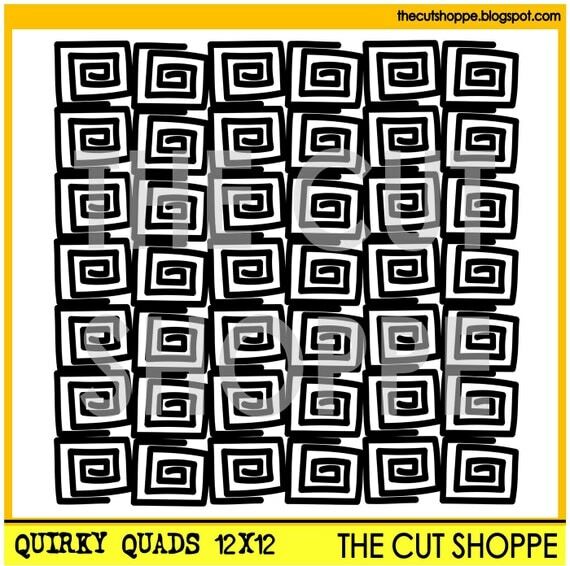 The Quirky Quads cut file, which is avaialbe in both and 12x12 and 8.5x11, was just perfect! 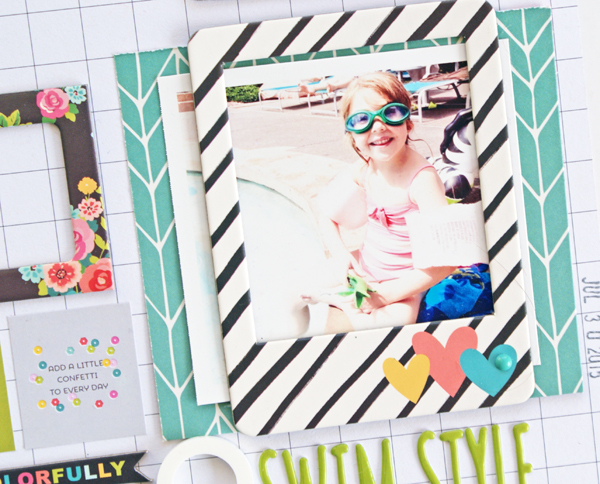 For my layout I didn't need the entire background, so I cut just a few rows out to layer underneath the photos. To adhere the quads to the cardstock I used just a little bit of glue and then machine stitched through them. 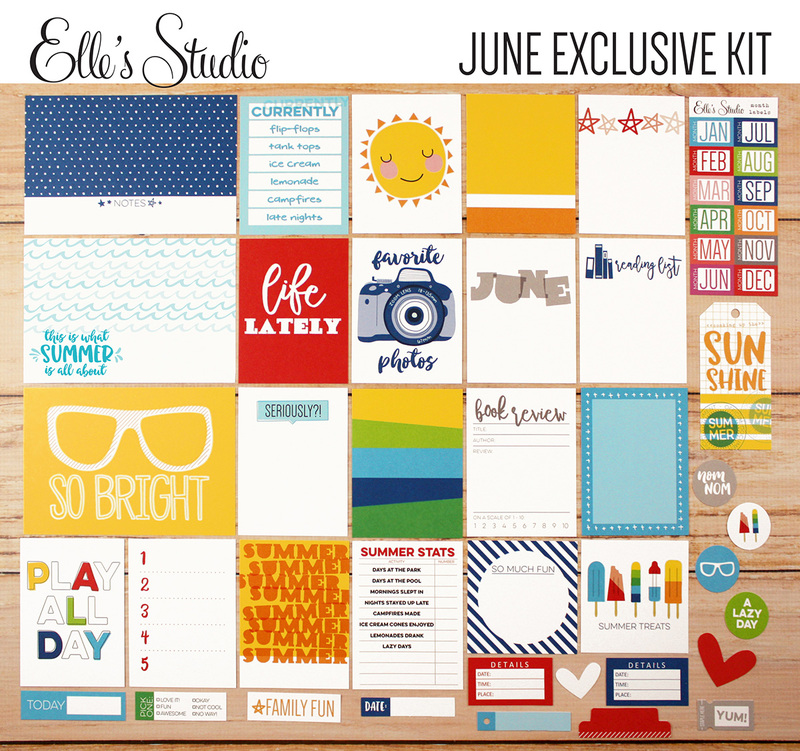 June 10th means it is time for a new kit and and co-ordinating goodies from Elle's Studio! 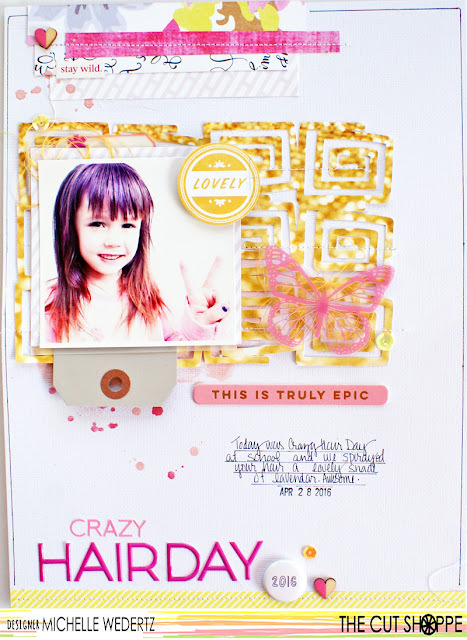 This month when I opened up my box, I was in scrappy heaven. Not only are the colors and products for June amazing and colorful, I also had the bright and happy Sunny Days collection in my possession! Yes! 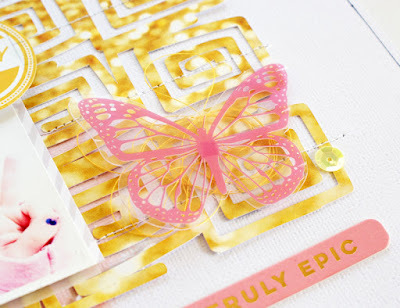 What I really love about the journaling cards in the kit, is that there is a good balance of cards that require no extra embellishment and cards that give you room to embellish. 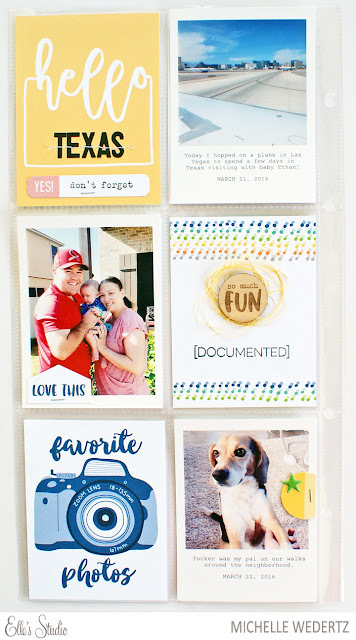 One of the reasons for my failed attempt at a full on Project Life album, was that I simply did not know how to create beautiful cards with lots of details for EVERY pocket. 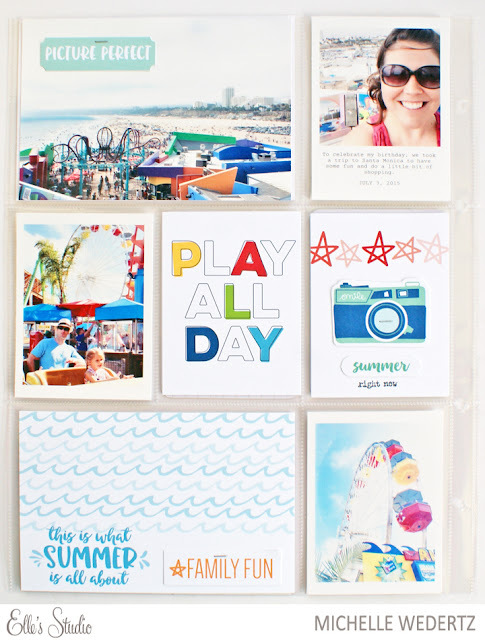 Having fun cards that are ready to slip right into a pocket really takes the pressure off! Instead of stressing over every single journaling card, I can have fun jazzing up one or two. Well, what do you think?? Are you digging the fun colors like I am?? 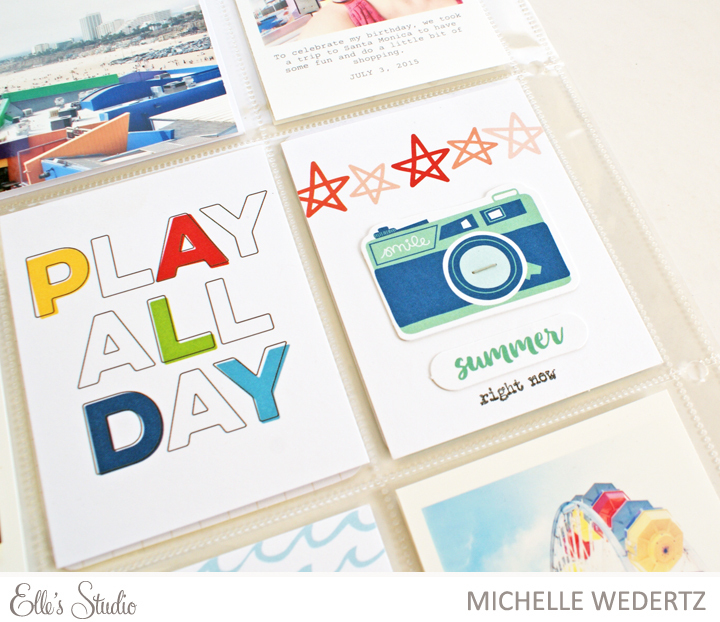 I don't know about you, but these colors pretty much represent my summers--a big, happy mess of red, blue, yellow, and green :). Remember, a new gallery is also live at Elle's Studio and I encourage you to head on over and take a look! Hello! 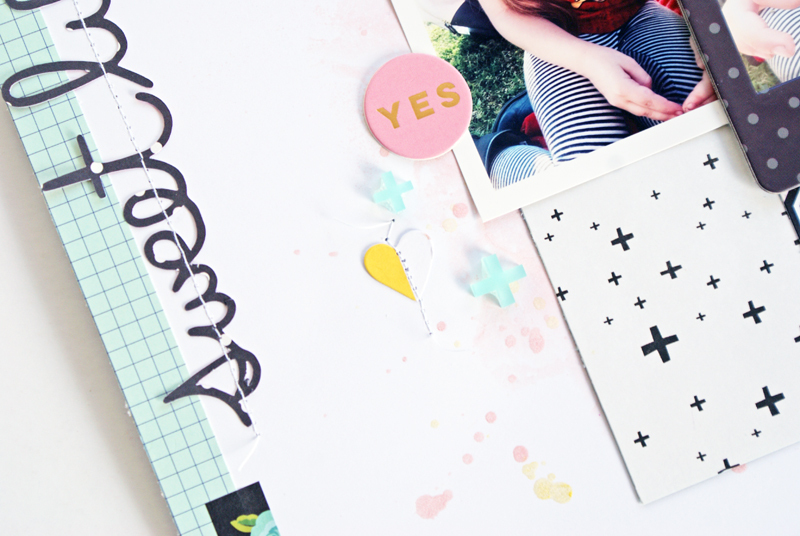 This past month I officially joined the design team at In the Scrap--a challenge blog based in Spain! 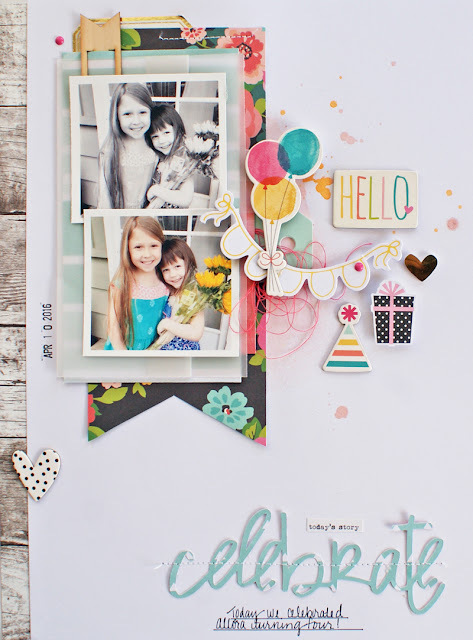 This invitation came to me at a really good time-you see, I had been feeling a little lackluster creativity-wise. I wanted to scrap, but my brain felt a little dried up. What I had been doing just wasn't working anymore for me. Surely, I am not alone with this feeling?? 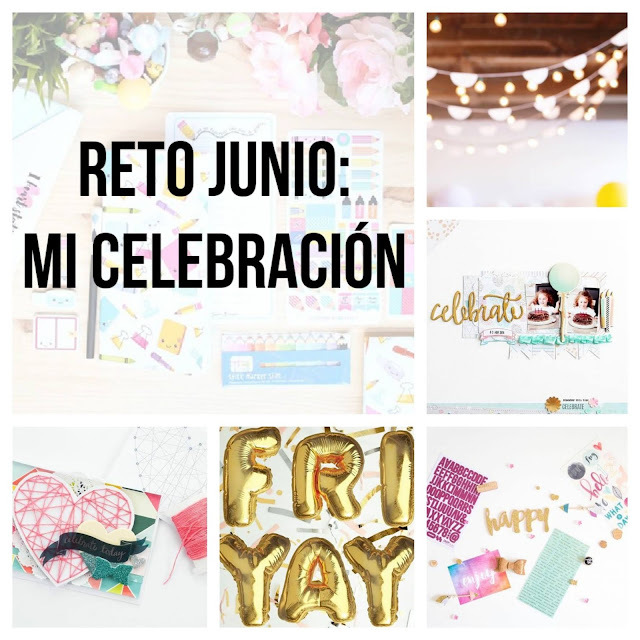 This little slump really had me thinking that maybe I needed to revisit some of the things I used to do, such as participate in online scrapbooking challenges--something that I used to do on a regular basis. I Then along came the invitation....Funny how things work out sometimes! blue, ruquoise, and pinks; banners; string lights; hearts; and arrows. When it came down to putting the inspiration from the image to use, I really embraced the whole theme of celebration. 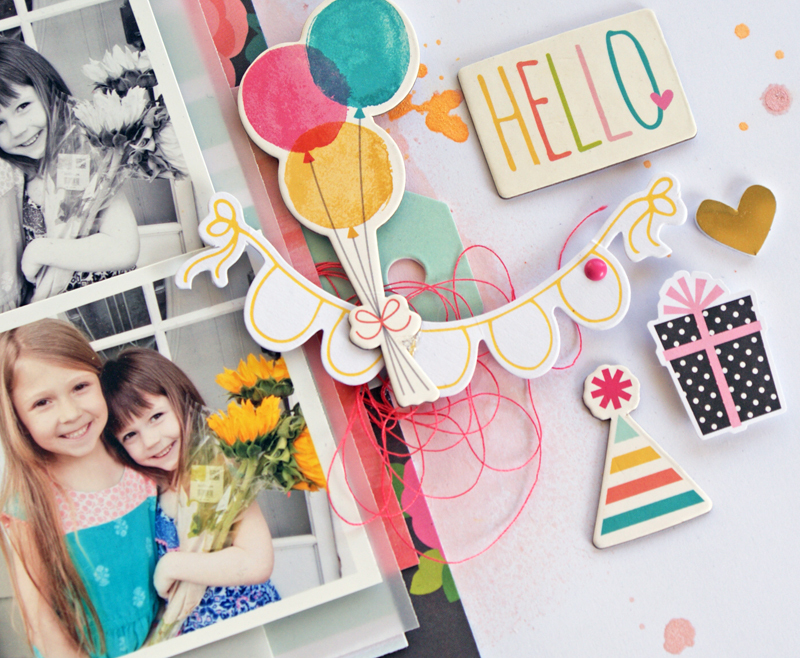 From my photos of my daughters on the youngest's birthday to the birthday themed embellishments, it's is obvious I went pretty literal. 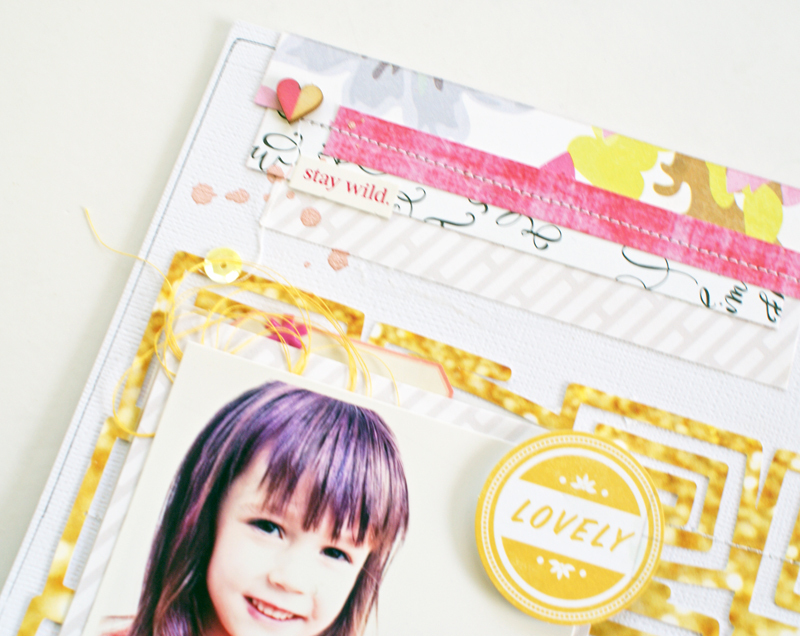 I love the little details that this challenge inspired, such as the addition of the pink thread and the foil hearts. 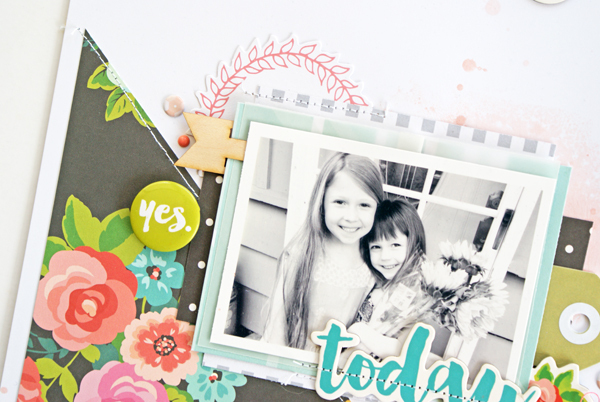 These were two things that I probably would not have thought to add if not for the challenge and I just love what these minor details brought to my page! One of my favorite parts about scrappy challenges is seeing what others do. There are just so many possibilities and I invite you to head on over to the blog to see what the rest of the design team did with the challenge :). Hello! 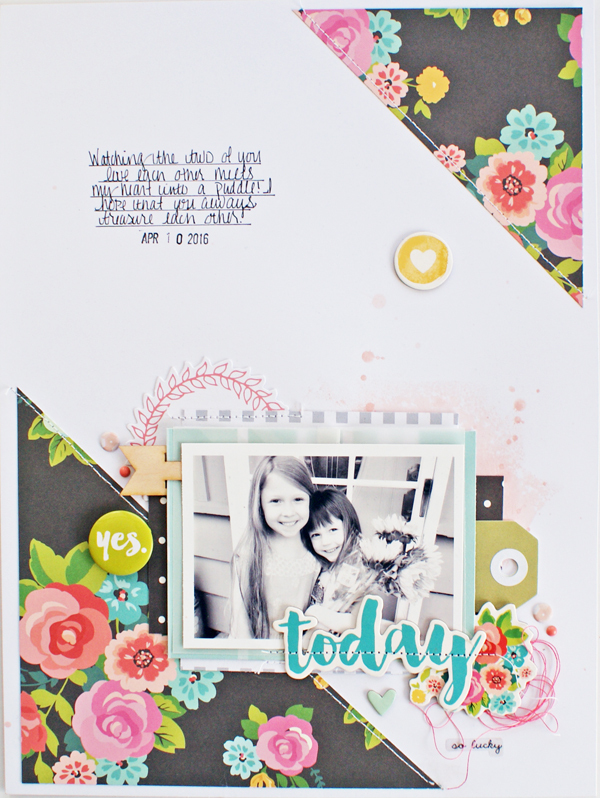 Today I want to share a new layout featuring the A Way with Words cut file set from The Cut Shoppe. When cutting out words and phrases that are in a thinner font, I find it almost imperative to cut it out of a bold or dark color. 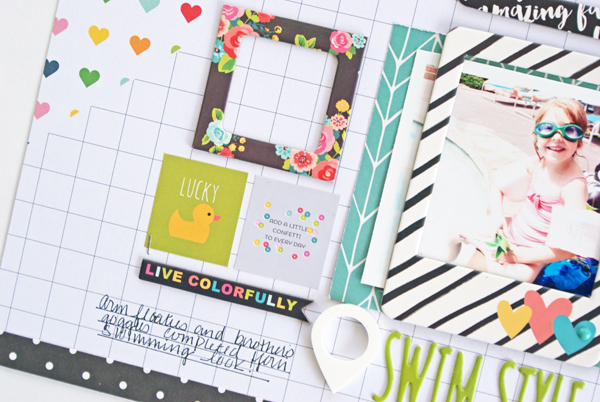 Something light could have definitely gotten lost on this busy layout, but since I chose a black polka dot paper the title is able to stand out. I really had a lot of fun putting this layout together. 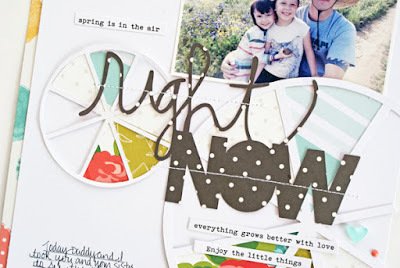 I went and pulled out some "older" papers and mixed them with some newer embellishments. I so enjoyed this that I am going to double up my efforts to use more of my stash. Hello! Is anyone else completely confused about how we ended up in June so fast?? Really, it feels like time fastforwarded three months! My brain is still in March! Ha ha. 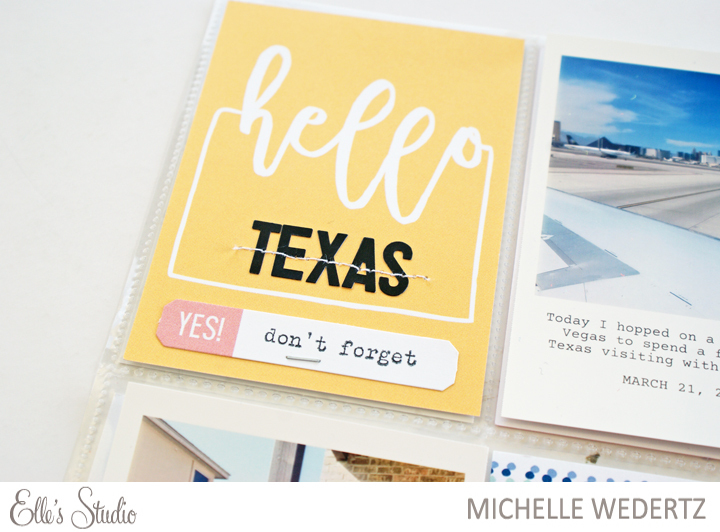 One of the only benefits of time moving fast though, is that it always seems like I am getting a new scrapbooking kit and today I am wanting to share my latest creations with the new June Kits from Gossamer Blue. This is my FAVE. 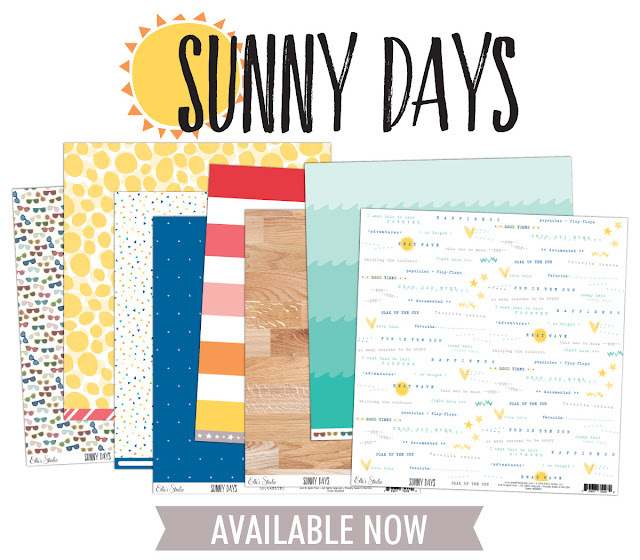 I was one of those confused people who really did not see the potential or relevance of pie charts when they started making an appearance in scrapbooking supplies. Now though, I am a believer! 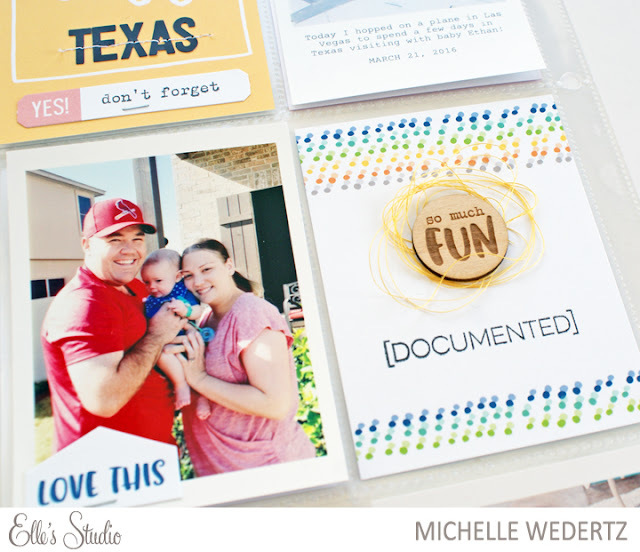 First off, they are circles which I am pretty comfortable with and second, they are a good medium for displaying all the beautiful patterned paper. Yup, I will be using pie charts again. This black floral paper from Simple Stories is the BEST. It is so pretty and I refuse to part with the little scraps I have left of it! 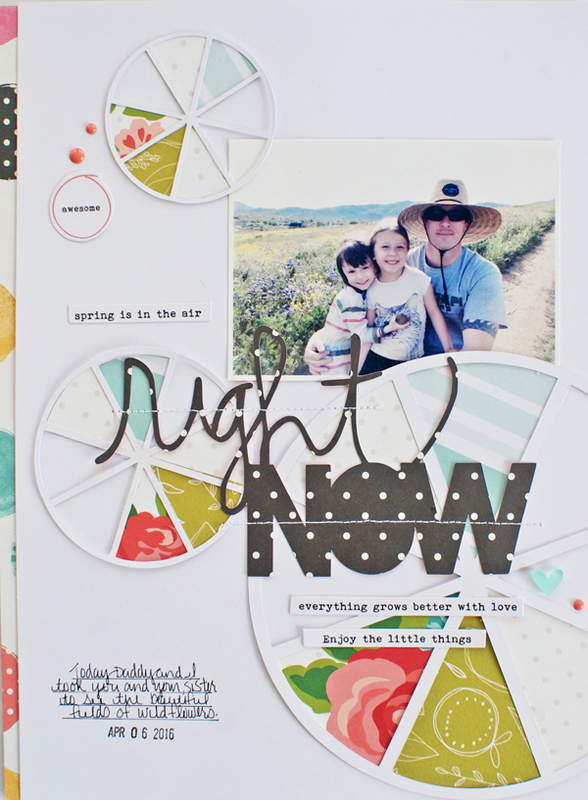 I also love the bits of green in this layout. Lately I have really been drawn to this color and I was so happy to find lots of it in the June Kits. 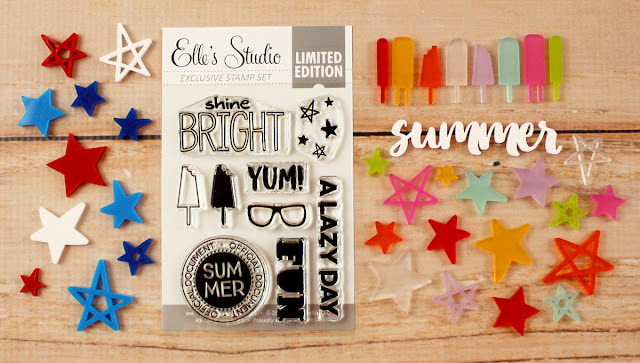 As I was creating with these kits, I found that they were really working well as a kit that will lead you from Spring to Summer. I scrapped photos from this spring, but I also was able to feel in some gaps in photos from last summer. I love it when a kit does double duty like that!